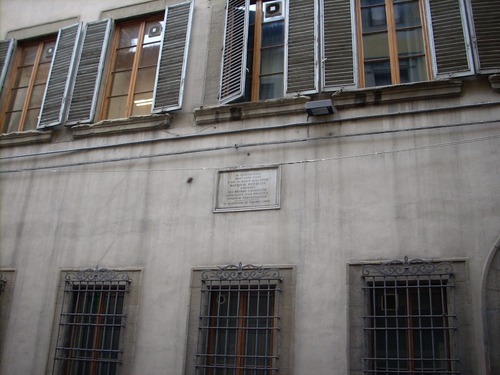 Italian physician Maurizio Bufalini long lived and died in this house, near the Ospedale di Santa Maria Nuova where in 1835 he had been appointed to the chair of medicine1, in Florence (via Bufalini, 3). 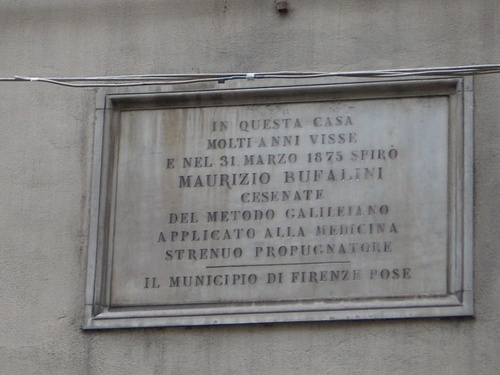 On the facade of the house, an italian inscription reads as follows: "IN QUESTA CASA / MOLTI ANNI VISSE / E NEL 31 MARZO 1875 SPIRO' / MAURIZIO BUFALINI / CESENATE / DEL METODO GALILEIANO / APPLICATO ALLA MEDICINA / STRENUO PROPUGNATORE / —- / IL MUNICIPIO DI FIRENZE POSE". 1. See W.F.Bynum and Helen Bynum, Dictionary of medical biography, Greenwood Press, Westport (CT) 2007, vol. 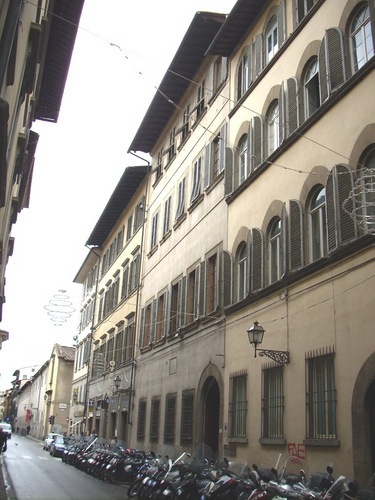 1, p. 279.